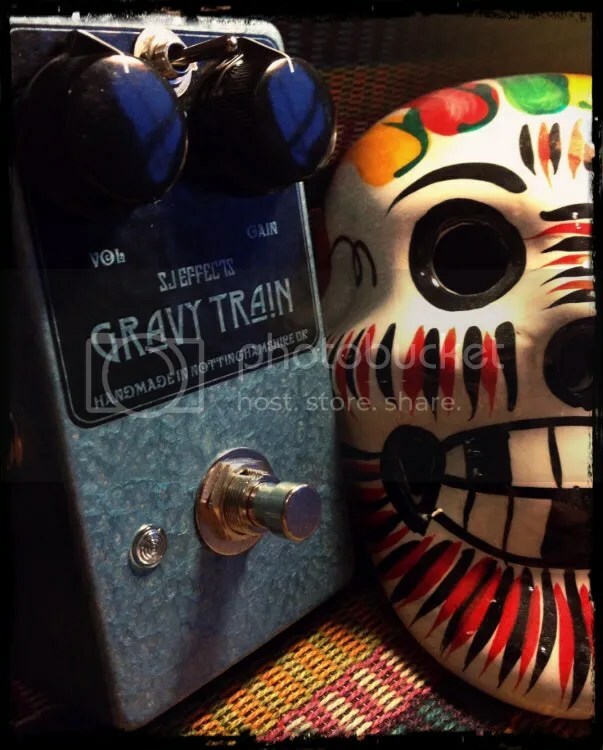 Here’s the Gravy Train overdrive. Which I posted a soundclip for last week. This is one of my Standard line of pedals (ie. 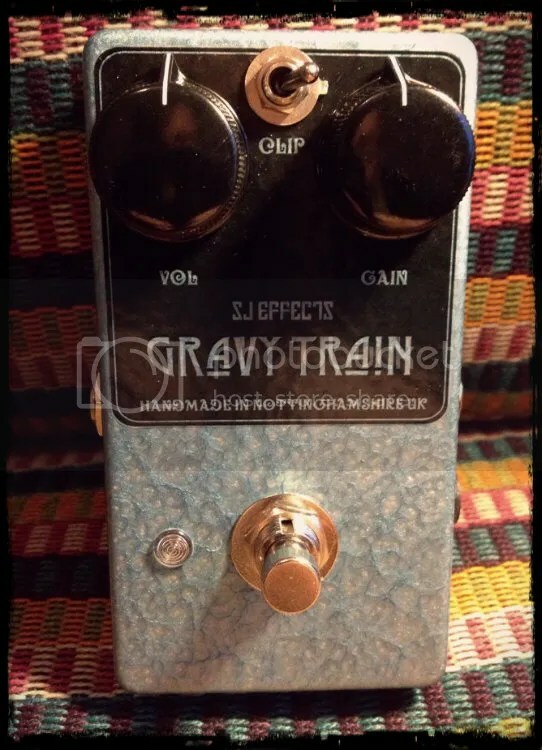 non custom), and can be ordered from the ‘pedals for sale‘ section on the site. Its an Overdrive based on the classic DOD OD-250. With selectable Asymmetrical/Symmetrical clipping stages. This defines the overall tonality of the overdrive/distortion. The symmetrical clipping uses some old OA202’s (no longer manufactured) which I have a small stock of. After going through all my collection of clipping options (germanium, silicon, LED’s etc.) these sounded the best to my ears, so in they went. I’m loving this circuit; Its so simple, but it sounds really great. Hope you guys like the pics and soundclip! 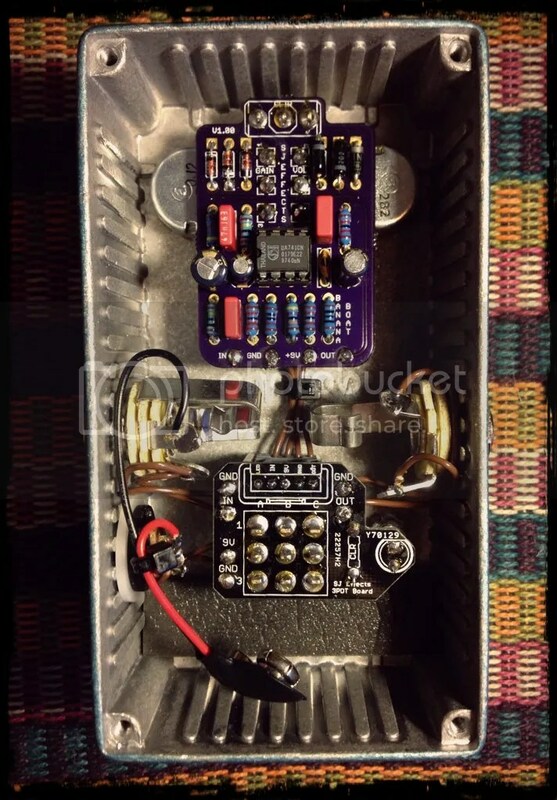 This entry was posted in Uncategorized and tagged custom fx, custom guitar effects, custom guitar pedals, DOD OD-250, guitar overdrive by sjeffects. Bookmark the permalink.